DIVING SCUBA INTERNSHIP CYPRUS SPACES AVAILABLE ! All Scuba Diving Internship Programs have Complete FULL SET of NEW MARES Equipment, Plus Lots Of EXTRAS Unless Stated. Why choose Scuba Diving Internships Cyprus? Please Note: These Scuba Training programs, Require a certain number of dives, Padi Materials and accommodation have costs involved. Your scuba experience during the scuba internships will be an invaluable experience and will be the foundation of solid coaching and training for your future as a Padi Dive master and Instructor. This Padi Internship offered with easy divers will make your living and training very comfortable. You will not be extra person in the water for the instructor to increase the diver to student ratio. You training will be conducted even over looked with a PADI Course Director. This is to ensure you have the very best training and experience for what you pay. Remember, I would suggest however, that you do not base your decision on price alone as there will be other factors to consider such as class size, equipment standards, air quality testing and overall customer service. Easy Divers Cyprus has been providing Scuba Diving Internship, Padi Dive Instructors, Divemasters, diving services and equipment sales in Cyprus since 2000. Our main Dive Centre retail facility & training is located in the town of Protaras, Cyprus. We are just ten minute drive from the lively resort of Ayia Napa, located on the south East coast of Cyprus. Our Diving Career Internships are full time residential courses at our recognized Padi 5 Star Dive Centres. Because it involves total immersion in dive theory, practice and the general running and duties of a dive school. It is unquestionably the best way to promote your scuba diving skills to professional levels and to make the life-changing career steps up to becoming a diving professional PADI Divemaster or PADI Instructor. A well-conducted Internship will give you much more than basic qualifications. You will join in the daily life of a working Business and learn invaluable professional secrets along with your scuba diving skills. We believe that your scuba diving internship is only as good as the Dive Centre conducting it, that’s why Easy Divers Cyprus is a PADI Five Star INSTRUCTOR DEVELOPMENT CENTER. How to become a diving instructor? we have the answer! Having a Padi Course Director to see you through your training and its not just any internship. Also the professionalism and philosophy of the people teaching you should be as exemplary as their technical and educational abilities. 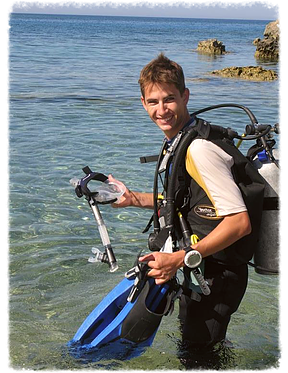 Easy Divers has its own Padi Course Director who runs and over sees all training. This ensures all standards are current and and met to the highest degree. PADI Course Directors are instructor trainers who conduct PADI Instructor Development Courses and other instructor-level training. PADI Course Directors hold the highest and most respected professional rating in recreational scuba diving industry. They are among the dive industry’s most influential opinion leaders and role models. Those who join this elite group of professionals pass through a stringent screening process that examines their experience and training just to get into the competitive and demanding Course Director Training Course (Padi CDTC). We understand the high importance you have placed in easy divers and money you will invest to be trained to the highest nad possilbly the best standards. That’s why here only a PADI Course Director gives vast amount of experience and role modelling you require. These habits and attitudes you acquire during your internship will influence the rest of your diving career. The more you put in, the more you get out of you scuba diving internships here in Cyprus. Scuba Diving Internships are all PADI sacnctioed courses and taught to the highest possible levels. Only a few Dive Operations in Cyprus to receive the accolade of becoming an ACTIVE PADI 5 Star Instructor Training Centre. Our beliefs are that proper dive training involves more than mastery of theory and the development of outstanding technical skills you learn during REAL diving situations. Our reefs, seas and coastlines are in peril. As divers, we of all people should be working to preserve and enhance them with joint cooperation of Project A.W.A.R.E. Easy Divers Scuba Diving Internships Cyprus is committed to reef rescue, regeneration and tidy beaches and seas. We are the leaders in Professional Padi Instructor Training In Cyprus. If you are Thinking of Taking Your Scuba Diving to the next level? Now, are you interested in our personal unique dive experience through a scuba internshis cyprus? Our scuba internships – education – training diver courses which have been specially created to assist you to go from non-diver up to Padi Master Scuba Diver or Padi Divemaster, as well as Padi Assistant Instructor or maybe even PADI Instructor thru a one of its kind working – training – hands on dive experience? You won’t be coming to work like a Dive Slave of the dive centre. Nor can you work FREE for your divemaster or Padi Instructor courses. Discount scuba diving internship, free of charge scuba internship doesn’t exist! You are quite possibly will be working for several months without having salary or even almost no earnings, and in many cases deceived possibly not receiving your certifications by the end. Our personal scuba diving internship with Easy Divers incorporates completely all the compulsory and updated requirements / a prerequisite PADI materials plus PADI certifications for each and every course you are taking during your internship. Our PADI Course Directors needed to begin somewhere. We were required to pay money for many of the padi materials, exactly how could possibly or just how do other dive centres make FREE Scuba Internship, 100 % FREE scuba diving internships? One way or another you’ll end up having to pay. This is not simply another diving course it really is the most impressive scuba diving internshipsin Cyprus. Cheapest padi internships in Cyprus that will be a life experience and certainly your dive career too. It can’t be matched or outdone because of its training plus experience you are going to receive through amongst the best scuba diving instructors in PADI, PADI Course Director. PADI Course Directors have the ultimate as well as highly respected dive professional status in recreational scuba diving. They are typically among the list of dive industry’s highly influential opinion leaders as well as role models. Those individuals PADI Course Director whom become a member of these particular elite group professional experts undergo a strict examination procedure that examines their particular knowledge, experience and also training in order to enter into the actual competitiveness of scuba training. NOW ARE YOU READY FOR YOUR SCUBA INTERNSHIP IN CYPRUS! When it comes to your ultimate choice the particular Padi IDC Dive Centre as well as the Padi Course Director, make the best choice, because this is what’s going to establish individuals higher than rest. Decide on a genuine outstanding PADI Course Director an authentic trustworthy Padi Dive Centre to suit your scuba diving internship. We love to talk with you personally to custom-make your own scuba diving internship training, which will be personal in a unique way. There might be questions or concerns you’ll want to ask us regarding the scuba diving internship in Cyprus. Easy Divers Cyprus feel this is actually our personal touch as well as professional respect you deserve. We can telephone or send you emails and talk to you about the dive internship in advance of you starting your dive career. We promise to provide you with the very best opportunity of working experience for your scuba diving internship in leading qualified scuba divers, plus training student all scuba divers. All our scuba diving trainee provided throughout Easy Divers Cyprus Europe, are definitely the most up-to-date, comprehensive and most current and therefore are unmatched in other places in Cyprus as well as on this planet. Our scuba diving internships provide you with the highest scuba credentials with up to date scuba programs in Cyprus. You’re going to be prepared in your new profession or scuba diving professional career once you have completed your scuba internship with Easy Divers Cyprus. Once you’ve achieved the actual Padi Divemaster certification you will find yourself ready for the next step. The PADI Instructor Development Courses (Padi IDC) will probably be the best step up on your Dive Professional Level Courses. Live-in Scuba Internships for the undersea professional photographer or perhaps diving underwater Videographer possibly diving compressors and air bank operator even dive equipment technician, visual Cylinder Cleaning Technician and Dive Resort management Training is just a few to mention from the scuba diving internship we provide. SCUBA DIVING INTERNSHIPS SCUBA INTERNSHIP PLACES AVAILABLE! We only have limited number of spaces, a deposit is needed before any scuba diving internship commences or a booking. We then know who and how many spaces are available if a booking is placed. Confirmation is only guaranteed when a deposit is paid.We only offer scuba internships to a maximum of five Dive Internship Candidates. Please Book ahead and make sure you get your place on the scuba internship reserved. This is a first come first dive basis. So get your fins on and email us find out how you can join our scuba internships and turn your Passion into a Life Changing Dream! Our professional diver training has increasingly become renowned in Cyprus for being thorough, unique and dedicated to those that are serious about scuba diving careers. Easy Divers Trainee Master Scuba Diver Internship Scuba Diving Programs cater for all budding scuba divers. There are other potential interns that may not be old enough to turn dive PRO yet (must be 18 years). Those that want to reach the Padi Master Scuba Diver MSD rating for personal satisfaction and be ready for the Professional level when you reach 18 years old. This is PADI’s highest non-professional ranked diving certification.Padi Master Scuba Diver allows the young interns to reach a higher and safer standard of diving, whilst waiting to become old enough to Go Pro. For those wishing to achieve this training certification for satisfaction, it offers them the maximum amount of safety and training in the water as they are at Rescue Diver level with additional specialty diving skills and training under their belts. Our Trainee Master Scuba Diver training will take place alongside the professional internships, allowing for the candidate to see and learn a more than in an ordinary, everyday dive course. Advanced O/W, Padi EFR (Medic/CPR) and Rescue Diver Courses. FULL set of scuba diving equipment yours to keep – complete set. (If you join our Fully Comprehensive Package). AllPadi Manuals and Slates up to your Master Scuba Diver rating. Minimum of 50 dives (Un-limited diving offered). Guarantee’s you the adventure of a life time. Become a Padi Master Scuba Diver with our scuba internship program, all you need to do is email me or send me your telephone number for a free professional career consultation. If you are already a certified diver or from another diver training organisation, our Internship programs may be the best option. However, we cannot give discount on our internship, for courses you may have already taken or crossovers. Choosing the right Diving Centre for your professional training is the most important decision you will make prior to entering the dive industry as a professional educator. Easy Divers Cyprus will make you part of our team and not just a paying customer, we will shape you into the best Padi Divemaster. Our Padi Instructor Training Centre and Dive Team will provide the highest quality and expertise in the dive industry. You should expect and demand this during your future diving career training. This is what it takes to make you successful in the real world of Scuba, you deserve the best training & education available. This is why our dive customers come back to us year after year, to continue their diving education with easy divers. Our Training programs are safe, fun and exciting. Candidates have fun; make new friends and share rewarding life experiences with other internship candidates, while earning some of the most coveted credentials in the dive industry. When you have fun and enjoy what you do, you reap all the rewards, that’s why we want you to become a PADI Professional at EASY DIVERS. Why Easy Divers’ in Cyprus? We run the most dynamic, updated PADI Courses in Cyprus. Keeping you on the cutting edge of the industry. With full multimedia computerized WiFi classroom, laptops, LCD projectors, video etc. Using only the very latest PADI materials. We ensure that your PADI Internship experience is the most up to date, comprehensive and professional available.Our Padi Divemaster Internship program can be intense and demanding, whilst being both fun and enjoyable. Our Padi Course Director and Padi Instructors work hard to keep this an efficient and relaxed program. This is important because people are most receptive to learning and perform their best in our low stress environment and having FUN. Let’s not forget this! Our Dive Team are dedicated to all training program; they are available 24 hrs a day to answer any queries or questions you might have. Extra remedial lectures and workshops are always available and are scheduled during the evenings as required. We have found that this allows for the greatest instructional service and individual attention. Working in groups gives everyone enough time for discussion and individual feedback and is ideal. You will also profit enormously from the contributions and ideas of your fellow candidates. Team spirit and the ability to work with people are crucial to your success as a Padi Divemaster and team teaching. We try to help, you to get into the mood. You are very much encouraged to work together with other scuba interns and on your own. We have found that staying at the same location helps this enormously. Advanced O/W, EFR (Medic/CPR) and Rescue Diver Courses. FULL set of scuba diving equipment to keep – complete set (If you join our Fully Comprehensive Package). 5 Diver Specialties of your choice, including O2 Administration and Equipment. Minimum of 60 dives (Un-limited diving offered). NEW DiveMaster Crew-Pack and PADI eRDPml is included. Once you become aPadi Divemaster, you can continue your education and become a (DSD) Discover Scuba Diving Leader. Apart from that, are you interested in teaching CPR and first aid? You can become an Emergency First Response Instructor. This EFRI course and teach how to assist injured and ill adults and children and AED Defibrillator, as long as you have current training in CPR, first aid for adults and children. To achieve the EFR Instructor rating this will cost Extra as this is one of many bolt-on-pro courses. To join our Padi Dive master internship program all you need to do is Email me or send me your telephone number for a professional career consultation. If you are already a certified diver, from another diver training organisation, our Scuba Internships may be the best option for a Padi course crossover. However, we cannot give discount on our internships for courses you may have already taken or crossovers. If you have your own professional equipment then this could reduce the cost. Our course prices are set and discounts may ONLY apply on special circumstances.